Higher Hendra Farm is a working farm that offers 4 self catering cottages in a peaceful and secluded area just a short drive from Port Isaac, Cornwall. 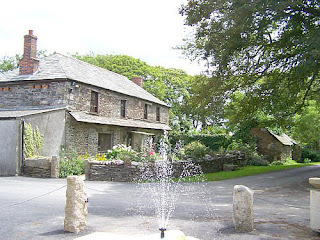 Higher Hendra Farm Cottages, St Teath, Port Isaac, Cornwall (Sleeps 1 - 6). 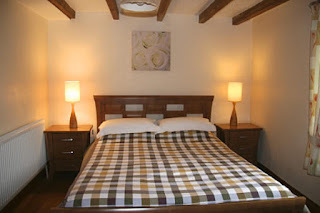 This is the perfect place to stay if your looking for a peaceful escape, and the holiday cottages are available all year round. The self catering barns are well equipped with a wood burner, TV, DVD player, CD player, oven, microwave, dishwasher, fridge/freezer and washing machine. Located just a short distance from the coast with its breathtaking scenery, quaint fishing villages and golden sandy beaches, there is something for everyone to enjoy. There are many places to visit surrounding the cottages including the Eden Project, Doyden Castle, Polzeath Beach, Dannonchapel, Tintagel Castle, Merlin's Cave, St Nectan's Glen, Prideaux Place and Camel Creek Adventure Park.